One of the problems with game-themed food is that sometimes, but not always, it looks clumsy. Recreating stuff with food is hard! Why have the edibles do all the work? 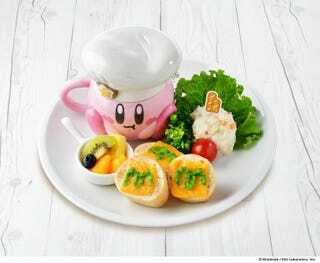 As Yukawa Net reports, Japan’s Kirby Cafes current menu is getting a new array of additional meals. The food previously served looked good, but the establishments are upping their tableware game. Can do this. Great, huh? The new menu will be offered from February 27. The Kirby themed ceramics are also available for individual purchase.